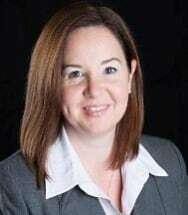 Kelly Jines is an experienced litigator, representing clients in state and federal courts, before various administrative agencies, and in arbitrations and mediations. At Sapir Schragin, LLP, she counsels clients on employment matters including discrimination, harassment, retaliation, employment contracts, severance agreements, wage and hour violations or compliance, and wrongful termination. With a previous business career managing nationwide projects, client accounts, and employees in fields as varied as telecommunications and aviation, Ms. Jines brings a multi-layered perspective to the employment issues faced by both employees and employers. Prior to practicing employment law, Ms. Jines sharpened her trial tactics and negotiation skills as a criminal defense attorney where she successfully represented clients entangled in a broad range of issues, ranging from wiretapping and extradition to internet scams and attempted murder. While in law school, she worked for small firms and state government, competed on the international law moot court team, and published a Law Review comment.